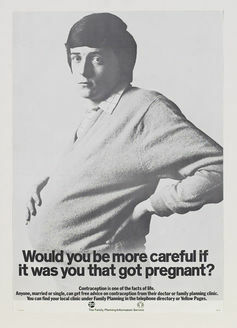 In 1969 the Family Planning Information Association ran a famous advert that showed a doleful young man, pregnant. Below him was the line: “Would you be more careful if it was you that got pregnant?” The aim was to focus attention on the responsibility of men when it came to the important issue of contraception. The 1969 Family Planning Information Association ad. Many people found the poster shocking or surprising not only because of the mention of contraception – then generally taboo as a topic of conversation – but also because it subverted conventions of masculinity. It proposed an unusual way of thinking and behaving – and challenged taken-for-granted norms, from a progressive standpoint. The poster is a classic example of offensive marketing done well. The idea of offensive marketing was first proposed in the 1980s by marketing professor Hugh Davidson who wrote a seminal guide on it that is still widely referenced. 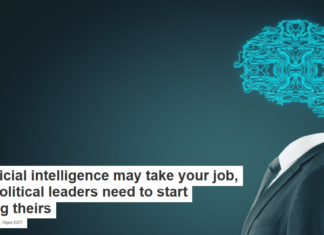 He encouraged marketing executives to gain an advantage over their competitors by taking bold initiatives, running unusual adverts that question the status quo or challenge people’s assumptions. It’s an approach that led to many great ads, including this one. 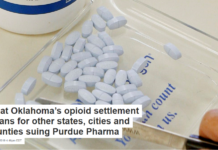 But there is another side to offensive marketing – ads which are offensive to specific groups of people, usually articulating a more regressive political or social message to sell a product. While the family planning ad became a positive part of British advertising iconography, others have become notorious. Many lead to complaints from the public which are then upheld by the UK’s Advertising Standards Authority. Recent examples include the Paddy Power advert that encouraged people to bet on the outcome of the Oscar Pistorius murder trial. It led to a record number of complaints (more than 5,500) for trivialising the issues surrounding a murder trial, the death of a woman and also the athlete’s disability. 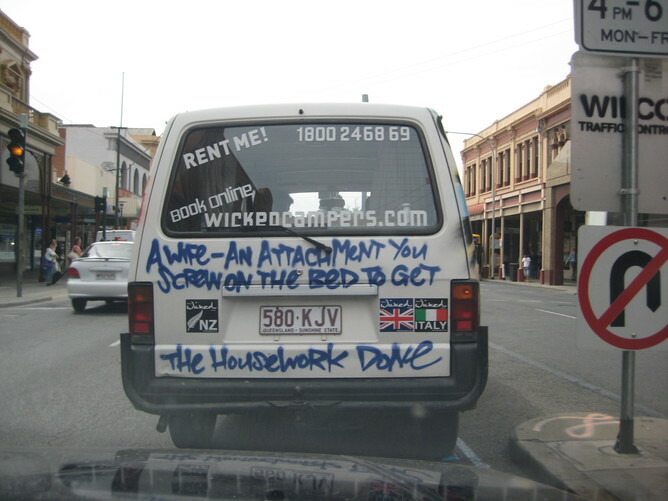 Australian camping company Wicked Campers have also been widely criticised for painting aggressively sexist, racist and homophobic slogans on their fashionably distressed campervans for hire. Offence and the offensive can of course change over time and according to place. While racism may not have been eliminated from the industry, casual racism is no longer acceptable. No advertiser would produce such an overtly racist advert an ad today that featured one small Caucasian child asking a small child of colour: “Why doesn’t your mamma wash you with Fairy soap?”. Sexism on the other hand, is still much more widely accepted when designing marketing campaigns, as Wicked Campers show. 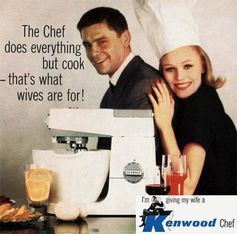 Sexism in advertising has a long history – and some vintage ads may even be funny when viewed from the perspective of contemporary feminism, such as the spot for the Kenwood Chef from 1961 which said the appliance did “everything but cook – that’s what wives are for”. Today’s sexist offensive advertising is less funny though; especially when it purposefully targets a group that already suffers systematic discrimination and is central to the construction of a brand. Today’s sexist advertising is more problematic than the blunt racism of early 20th century ads because it is presented in a jokey, even “cool” way, as integral to the product. It’s surprisingly easy to find sexist advertising, especially for the archetypal blokey product – beer. Large companies such as Foster’s provide regular, low-level sexist marketing, portraying men as escaping their wives to go drink or objectifying women while enjoying a pint. Others such as John Smith’s prefer a mixture of sexism and ageism – such as when the actor Peter Kay played a character who suggested his 55-year-old mother should be in an old people’s home because her moustache frightens the kids. 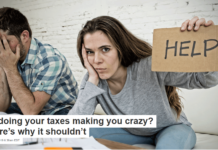 These ads are always presented as funny – and so objecting to them makes the complainant seem like a killjoy partypooper. Combining attitude, style, substance and a little bit of low self esteem for good measure … You really should just leave it alone, but you just can’t get the compulsive malt body and gorgeous dirty blonde colour out of your head. Leaving aside how helpful this all is as tasting notes for a beer, is it funny? Or is it just disrespectful towards women and guilty of peddling unhelpful tropes about blondes? You decide – but if you don’t like it, be prepared to be labelled as “politically correct”, conservative (ironically) and lacking humour. We don’t think beer names and labels inevitably encourage violence against women. 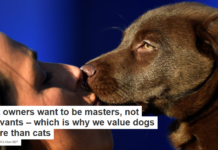 But they do reproduce tasteless regressive sexist attitudes, just as ads we now categorise as openly racist helped to perpetuate that set of discriminatory and damaging beliefs. Why is it so difficult for some marketers to see the line between a marketing offensive that challenges its audience in a good way, and one that is just plain offensive? Scott Taylor is Reader in Leadership & Organization Studies at University of Birmingham. Next articleTaking plants off planet – how do they grow in zero gravity?